In Sewing > Needle Cases > Show & Tell. 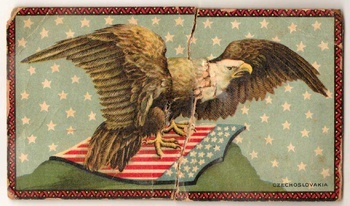 This is mid-late 1940's post-war Army and Navy Needlebook. 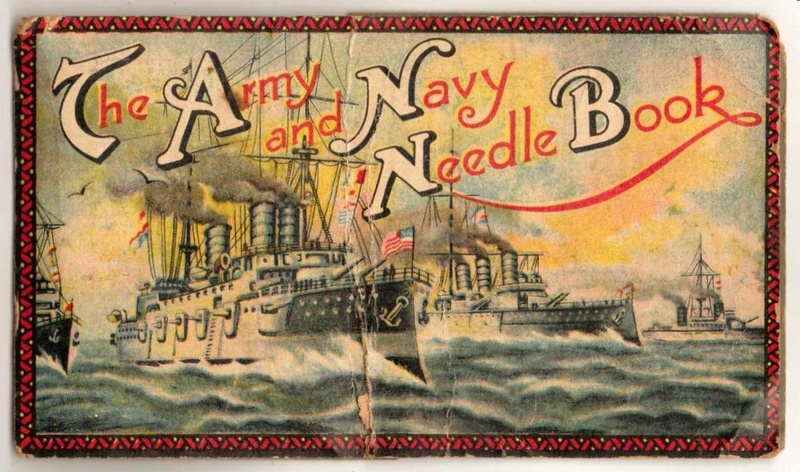 - There are more than 20 different kinds of Army & Navy Needle Books with different variations. For example the classical "Iowa" single ship was exported from Germany, Czechoslovakia, Japan, and was sometimes just marked "Foreign". The single ship kind comes named as Maryland, Massachusettes, No Name, etc. in addition to Iowa. 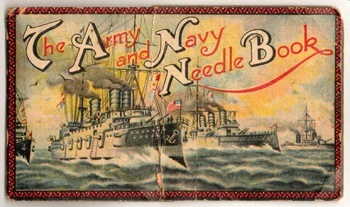 These needle books often vary in color and have different illustrations on the backs. 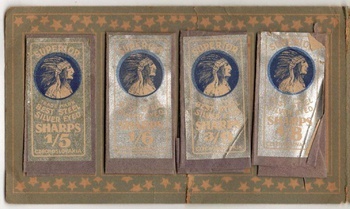 These needle books were never sent to soldiers. They were marketed to the home crowd, and never during a war, but afterwards. They were usually produced by our former enemies. 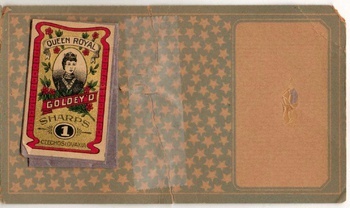 This one has a cover picture of several un-named U.S. warships and is noted as Made in Czechoslovakia on the lower right back and the needle packets. 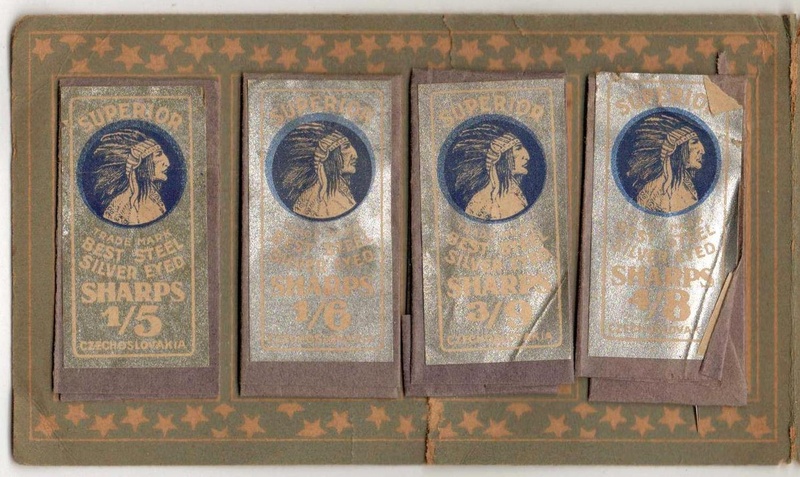 It contains small packages of "Superior" sharps in four sizes, 1/5, 1/6, 3/9, and 4/8, and also a package of "Queen Royal" Goldey'd sharps #1. The right side would have a place for loose needles which is missing. 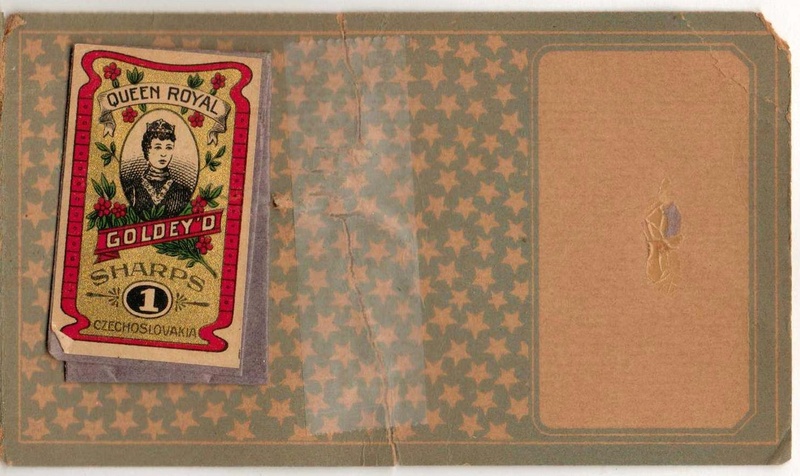 The packaging is slightly damaged (heavily creased on front, torn completely on back). -- ** This is the last of my three for those getting tired of seeing them.